Spring - AerWay is used to relieve compaction, manage crop residue and warm the loosened soil for better planting conditions. New pathways are created for air and water movement, while maintaining the valuable protective surface residue. Plants respond to these better soil conditions resulting in stronger roots and better yields. Farmers have commented "being good stewards of the land is important to them". With use of the AerWay they have noticed greater moisture retention, less runoff, less erosion and more efficient use of their time, fuel and fertilizer". Fall - Many AerWay owners use their machine to partially incorporate the protective crop residue. This contact helps to initiate and promote residue breakdown. AerWaying allows the soil to breathe taking in air and water, as well as benefiting from the freeze and thawing cycle during the Winter. They find this practice helps soils warm and dry sooner in the following Spring. For nearly 30 years, AerWay has been the leader in "Vertical Tillage"..…and today it is still the standard that others try to copy. 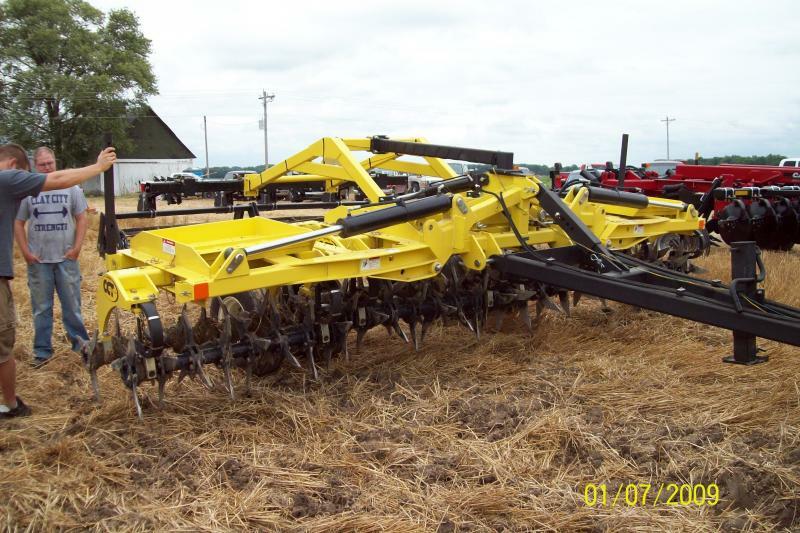 Talk to us about the Single Row and Double Row CCT models to determine which machine best suits your tillage needs.